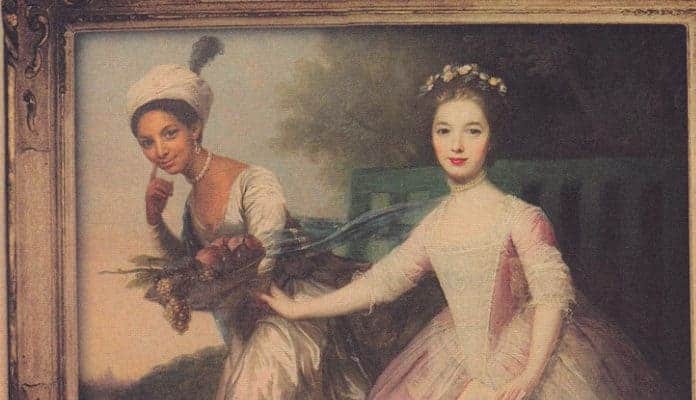 Today, Dido Elizabeth Belle is England’s first aristocrat who was not only of African descent but born into slavery. Belle grew up in a time where the American Colonies were forming as the United States of America and England still had slavery. As a young girl, she was sent to live with a Prestigious English family, who not only raised her like their own child but raised her with education and wealth. Belle from the 2013 movie, Belle. David Appleby / Vulture. While Belle’s whole life story makes her unique, the fact that she was mulatto does not. In fact, it is estimated that about 10,000 people of African descent lived in London by 1761, which was the year Belle was born. On top of this, countless children were mixed race. Therefore, by the time Belle got to England, around four years later, she was far from the only mulatto child in the city. However, this does not mean everyone liked Belle, or she escaped racism. Belle was reportedly treated differently both inside and outside of her home. But it was not just Belle who dealt with society’s disgust. Her guardians, William and Elizabeth Murray, also had to deal with being looked down upon by members of the community. On top of this, they had to watch Belle grow up in a world where her race was enslaved. Furthermore, to keep up their prestigious appearance at the top of society, they needed to treat Belle differently, especially in front of the public and guests of their home.